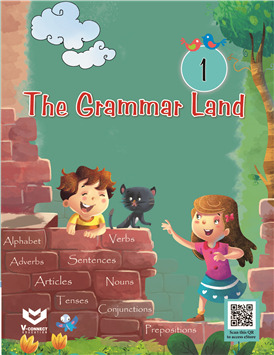 The Grammar Land, a series of 5 grammar books integrates the teaching of English grammar with the development of basic language skills. The content in these books includes innumerable exercises with special emphasis on grammatical structures. The Grammar Land conforms to the specifications of CCE. Grammar topics arranged uniformly to facilitate teachers and learners. Step -by- step and age-appropriate approach to teaching-learning process. Interesting facts included in the snippet ’Did You Know’. Exceptions to grammatical rules and unusual usage of parts of speech. Let’s Revise section after every two or three topics helps teachers in assessing the language skills acquired by the learners.